Also in Year 6: Henry, Cameron and Finley. 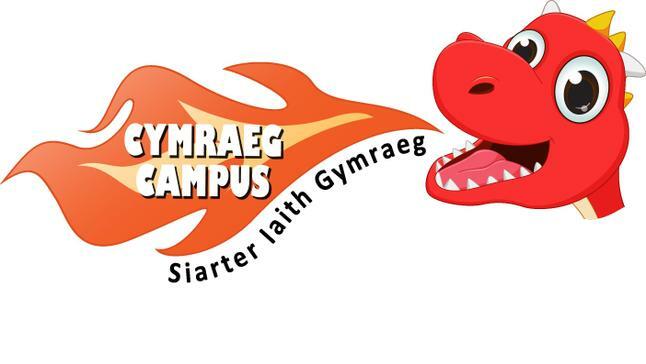 Teach Welsh games on the yard. The simple objective of the Language Charter is to provide a clear framework, which can be used to promote and increase the use of Welsh by children in a whole school context. 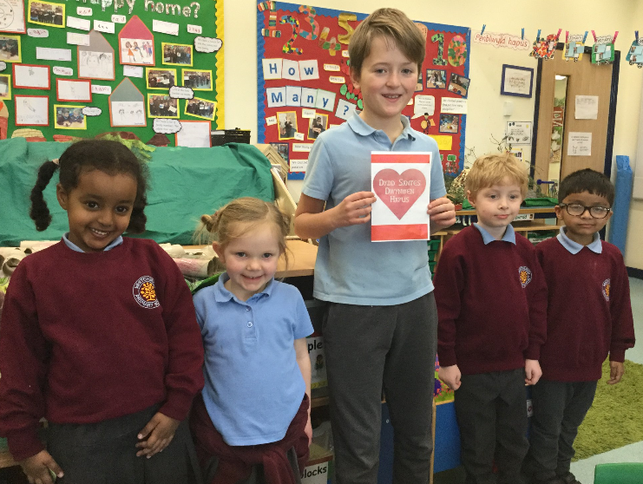 In a nutshell, the Charter’s main aim is to promote a strong Welsh ethos in our school and to provide a range of enriching activities that propel the children to enjoy learning Welsh. 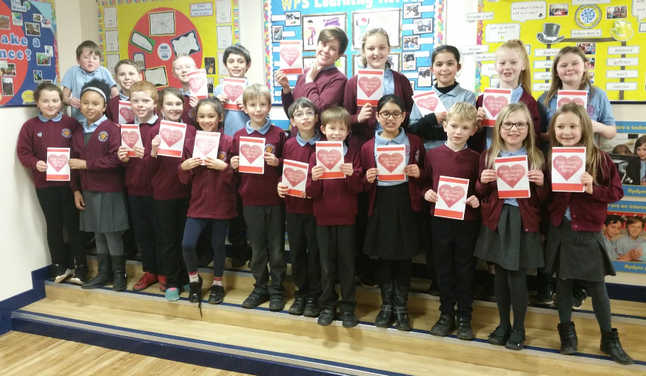 The Language Charter exhorts participation from every member of the school community, and members of the school workforce and council, the pupils and their parents, school governors and the wider community are all encouraged to take full ownership of it. 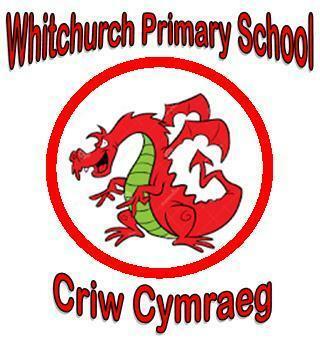 The Criw Cymraeg (Welsh Crew) are instrumental in leading and driving the Language Charter forward at Whitchurch Primary. 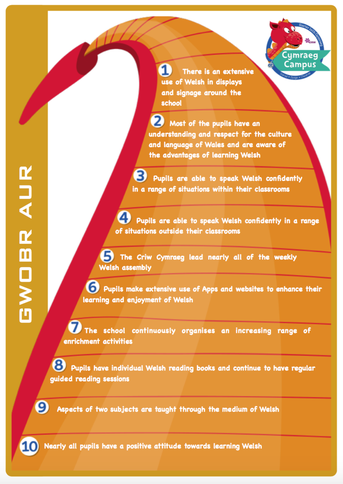 To ensure that all efforts are rewarded, the Charter is based on the principle that every school follows challenging but attainable targets in connection with promoting the use of the Welsh language. The specific targets included in the Language Charter can form part of a school’s Welsh Development Plan. The aim is to achieve the gold award over a four year period. 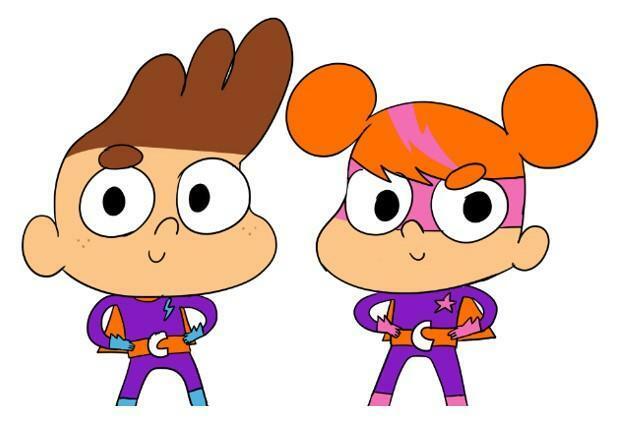 The Welsh Language Charter, a project to encourage the use of Welsh socially in primary schools in Wales, has welcomed two new characters called 'Seren' and 'Sbarc'. The two heroes on posters and badges will encourage children between 4 and 7 years old to use the Welsh language in the playground, at home and the classroom. 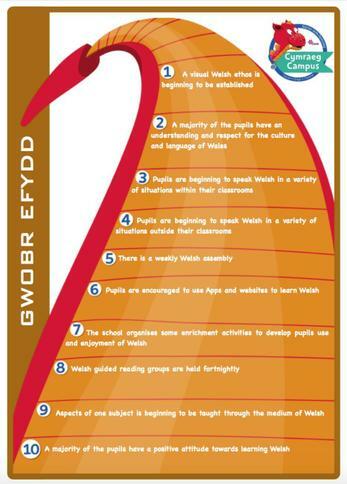 You can read more about the Welsh Language Charter here. Our Criw Cymraeg helped to encourage children around the school to listen to Welsh music and learn the song for Seren a Sbarc. Bendigedig! If you would like to sample some miwsig Cymraeg click here for a playlist! To find out more about Dydd Miwsig Cymru click here! 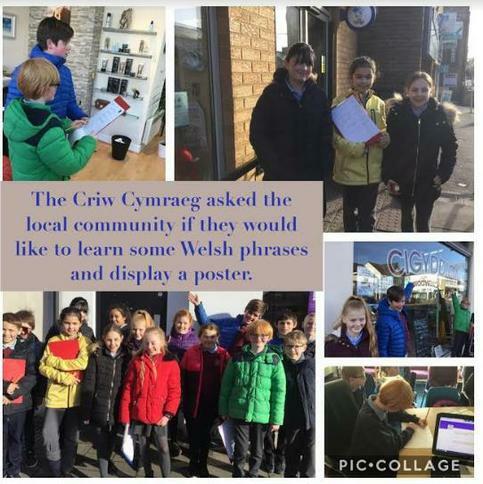 Criw Cymraeg are working on a joint project with Melin Gruffydd to incorporate Welsh into the local community. We asked local businesses if we could count on their support - the response was bendigedig! Rydym yn mwynhau cyd-weithio ag Ysgol Melin Gruffydd. Our Criw Cymraeg enjoyed making a film about their work with Mr N and Mr Gidney! We look forward to publishing in the near future! •Mae hi’n amser…..chwarae / cinio / mynd adref / cofrestr / tacluso. •It’s…… playtime / dinnertime / home time / register / tidy up time. •Pwy wyt ti?/Be ydy d’enw di? •Who are you/What’s your name? •Sut wyt ti? How are you?